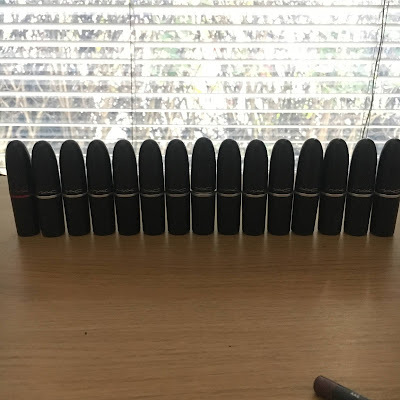 So, quiittee a while back I posted a blogpost about my MAC lipstick collection. 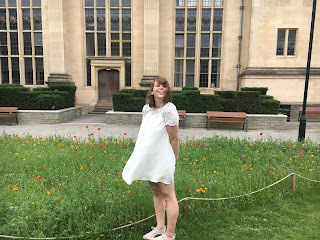 That blogpost was in 2015, which is now about 3 years ago. 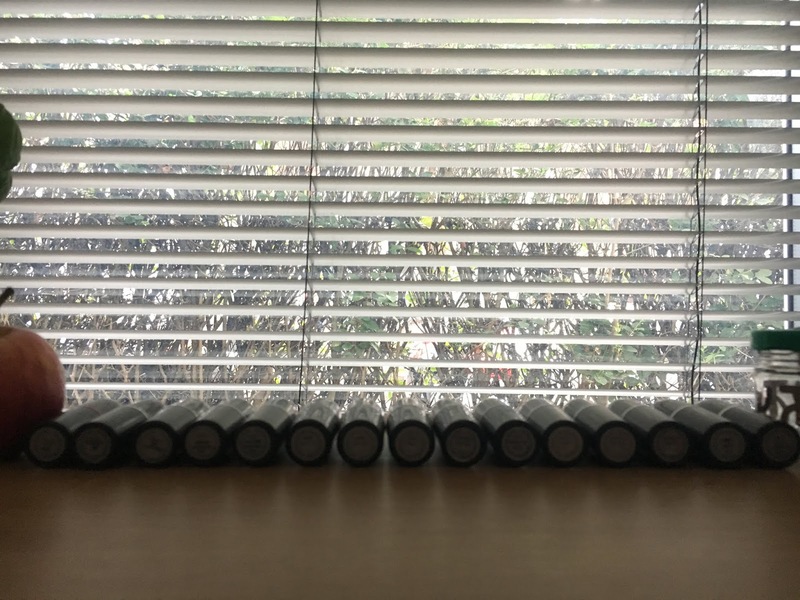 And in those 3 years, my collection has kind of grown quite a bit. 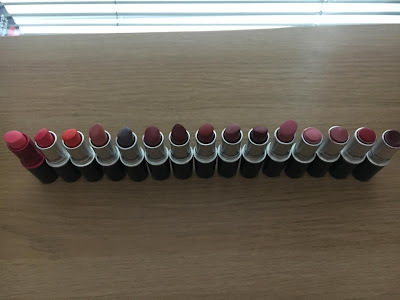 It went from 4 to 15 lipsticks. 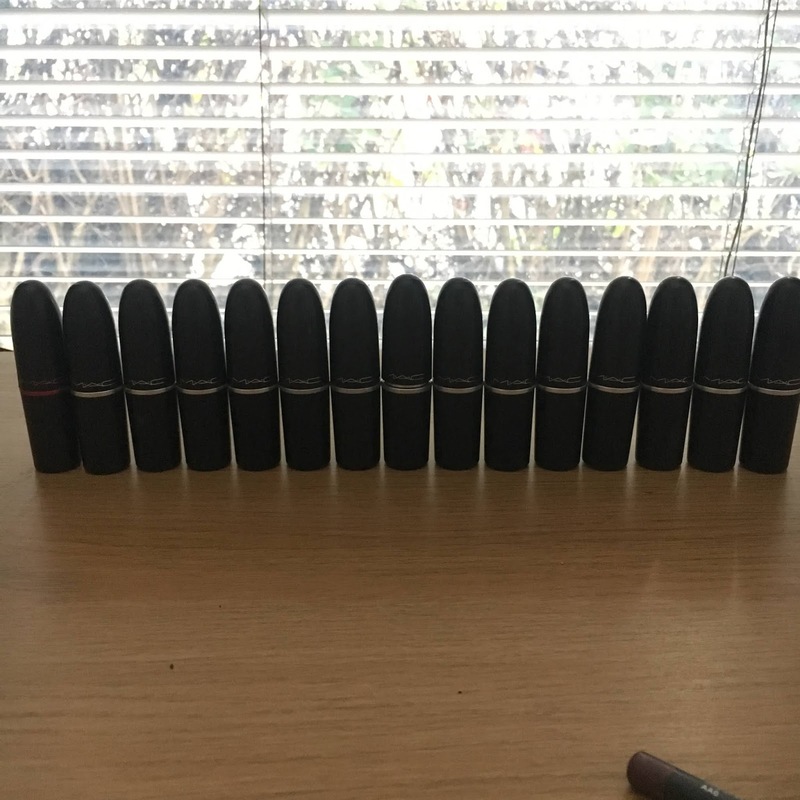 I thought it would be nice to show you my updated MAC lipstick collection. I've included swatches but please excuse the quality of the photos, they're not the best. 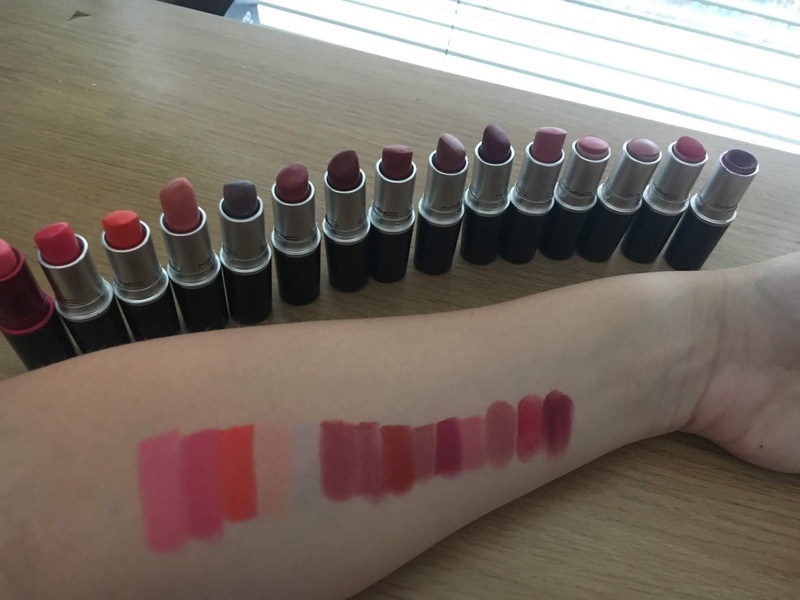 Here are all of them swatched on my arm. I took one photo without and one photo with flash, to be sure that the colours showed best. They are in the same order as the photo and the list above. 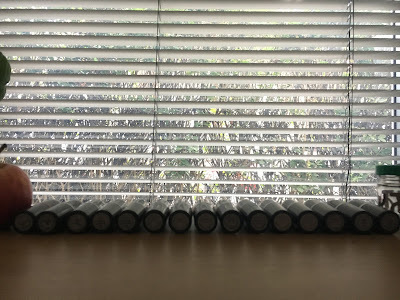 I love every one of them, though of course there are colours that I use a lot more regularly, as you probably have seen from the four on the right side. Please Me is one I loved and used so much that when I finished it, I immediately went to get another one. The same happened with Cosmo, although I can still use that one a little bit. However, when I got to the MAC counter, the saleswoman somehow convinced me to get Twig instead of another Cosmo. I do like Twig, don't get me wrong, but I am a bit bummed that I did not just go with my gut and got another Cosmo. But that's always something for another time! 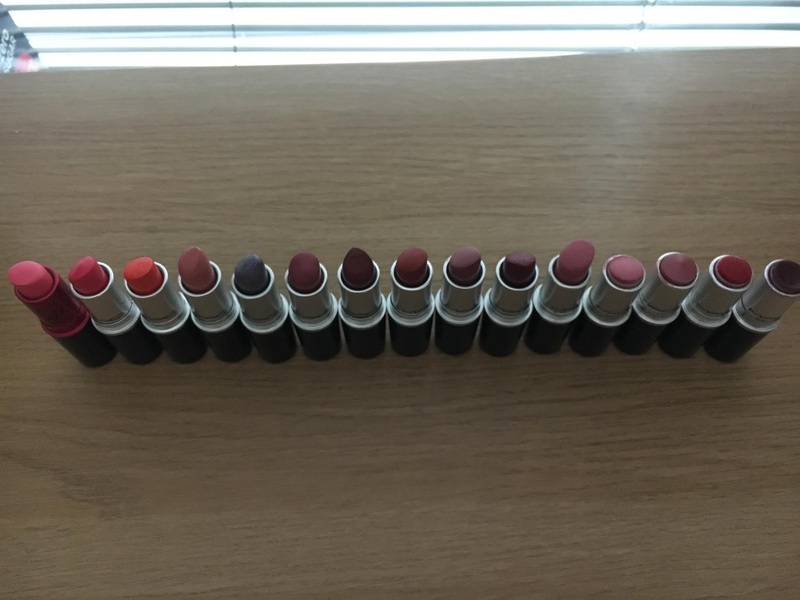 My other two most used are Diva and Ruby Woo. And Matte and Amplified are definitely my favourite kind of MAC lipsticks! 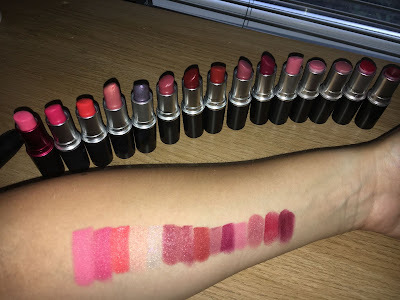 I love how well Matte stays on your lips and I love the colour intensity combined with the creaminess in the Amplifieds. What kind do you prefer? 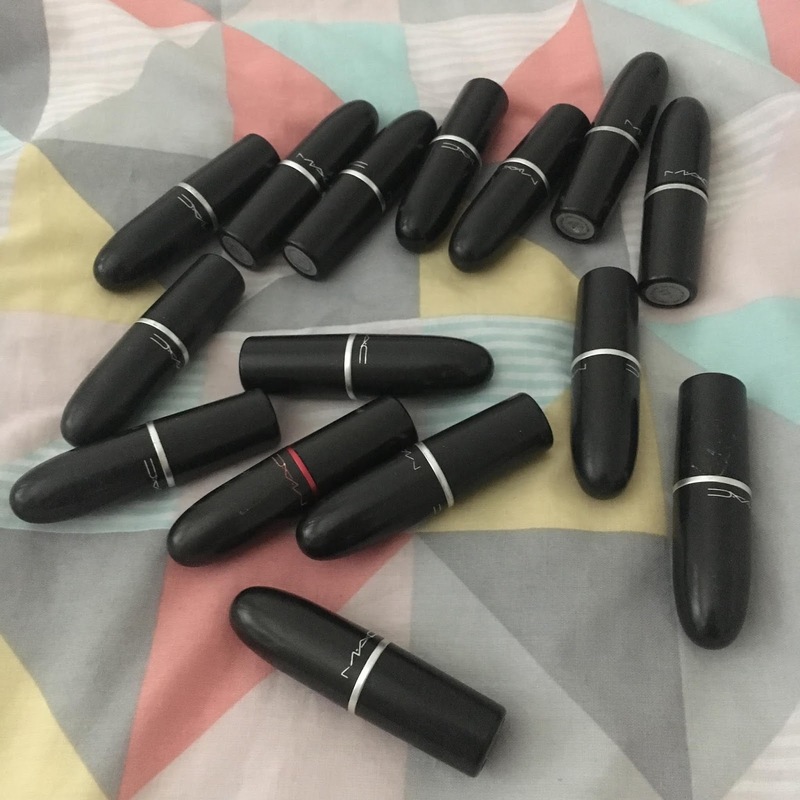 And what colour is your go-to lipstick?